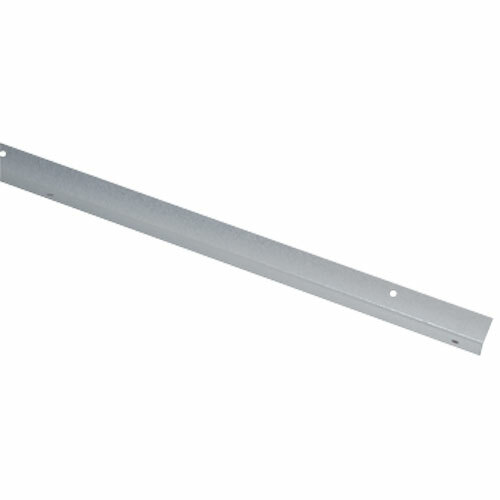 Stop your horses from cribbing before it starts with our galvanized, all-steel 93.5" post edging. They protect your posts and stalls from your horse, while also protecting your horse from colic and wood splitters. Wood chewing is common in foals as their incisors come in, so cover your exposed lumber with our sturdy metal edging today! 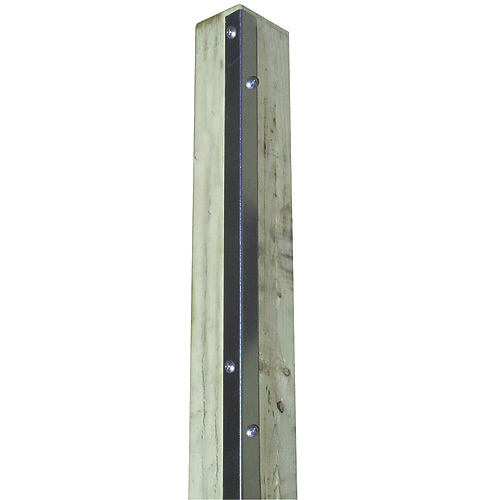 Installation: Screw the 93.5" post edging onto your exposed wood to prevent cribbing. *Note: Requires 14 stall screws (sold separately) for installation. You may purchase them here. **Shipping: Surcharge shipping due to the 93.5" length. We recommend you purchase with your stalls or in bulk to save on freight. They may also be picked up at our location in Swanton, OH or they can be cut in half for a $5 per piece to save on shipping. - "The post edging worked so well in the stalls we are now using it outside where the pasture is right off the barn. It keeps them from chewing up the barn and we love it." - "We had to update our stalls with the wall capping and post edging because they don't ever stop chewing the wood. These have kept us from constant up keep." Installation: Screw the post edging onto your exposed wood to prevent cribbing. Shipping: This item ships UPS or freight. Please contact one of our expert account managers for a freight shipping quote. Surcharge shipping charges due to the 8' length. We recommend you purchase with your stalls or in bulk to save on freight. They may also be picked up at our location in Swanton, OH.